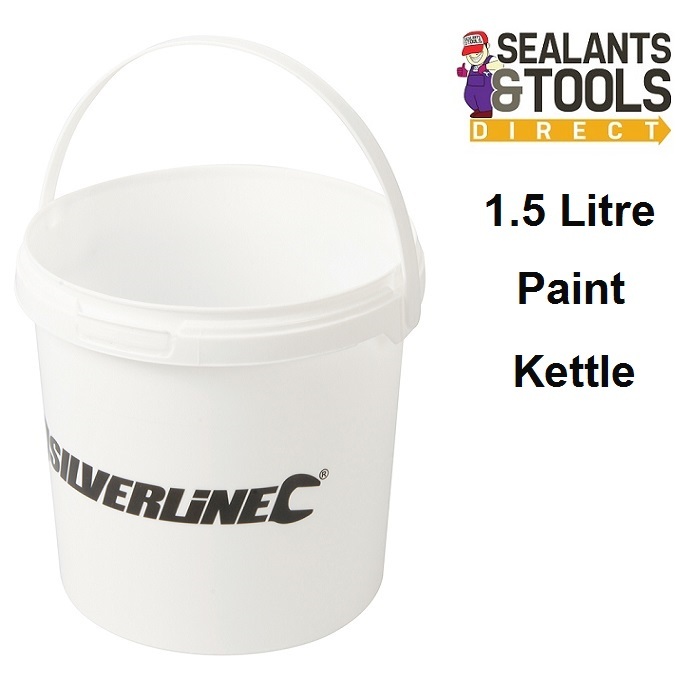 Silverline 1.5 liter plastic Paint Kettle Bucket. Made from polypropylene making it easy to clean. Can be used with all types of paint and wallpaper paste. Can also be used for many other uses holding nails, screws and small tools when working at a height.